Orthodox Christianity is not familiar to most Americans, even though the community of the Orthodox has existed for some 2,000 years even though there have been Orthodox Christians in America since its founding as a nation. So, what is Orthodox Christianity? It is the life in faith of the Orthodox Church, inseparable from that concrete, historic community and constituting its whole way of life. 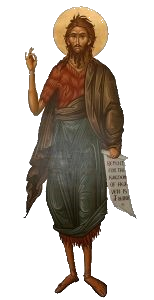 The Orthodox Christian faith is that faith “handed once to the saints” (Jude 3), passed on to the apostles by Jesus Christ, and then handed down from one generation to the next within the Church, without adding anything or taking anything away. The purpose of Orthodox Christianity is the salvation of every human person, uniting us to Christ in the Church, transforming us in holiness, and giving us eternal life. This is the Gospel, the good news, that Jesus is the Messiah, that He rose from the dead, and that we can be saved as a result. Historically, the Orthodox Church is the oldest of all Christian churches. Ultimately, all Christian communities can trace their own history back to the Orthodox Church. In the pages of the New Testament we read the beginnings of the Orthodox Church, and even today Orthodox Christianity continues to live on in most of the places mentioned in the New Testament where the Apostles first preached the Gospel. This is the Church that wrote, compiled and canonized the Holy Scriptures, that formulated the traditional doctrines of Christianity, and that has believed and lived the same faith for 2,000 years. Today, Orthodox Christianity’s largest communities exist primarily in Eastern Europe and the Middle East, though there are also sizable communities in North America, Western Europe, Africa, Asia, and Australia, primarily through immigration in the 19th and 20th centuries, but also through a growing number of converts to the faith. It is the second largest Christian communion in the world, smaller only than the Roman Catholic Church. The Orthodox Church is sometimes referred to as “Greek Orthodox” or “Eastern Orthodox,” but the best term is simply Orthodox Christian. So what do Orthodox Christians believe? And how do they live? Read the rest of the articles in this series for a brief introduction to the beliefs and practices of the Orthodox Church.